Roma has undoubtedly impressed me more than most other places. I wouldn’t know for sure why, it would be too predictable to cite architectural splendour from whatever age. It’s more for me a question of belonging, that sense of having been there before, the inspired ability to find my way round places I have no measurable idea about. 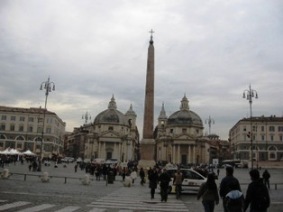 Roma has a personality which underpins its tag as the eternal city. it seems there is breath from each historical era in the city’s atmosphere. The solid Roman foundations underlie a more modern sophisticated ambience and on a physical level too we can see evidence of every period from Roman times to the present day. 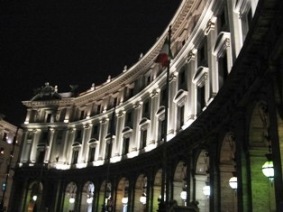 In many ways, modern Roma hardly respects its pre-modern self, but then what cities do? I find Roma an exciting place to be, but not for its action, more for the fact that you have to know where to look for it. A lot of its life is lived away from the uninformed gaze, the tourist trap does not permeate every last vicolo and many local people spend time in secluded cafes and bars barely known to outsiders. This is what I looked for, and after some success was able to enjoy the city for what it really is. 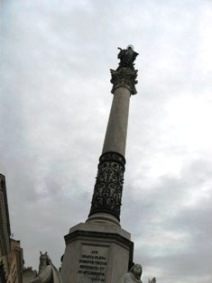 I first went to Roma in about 2002 during a short break in Italy which saw me staying on the other coast in Ancona. The journey was three hours, same back again which meant I only had three hours when I got there. I wasn’t too keen on the idea of wandering off either, getting lost and missing the train would have made for a big mess, so I stayed within easy reach of the station. 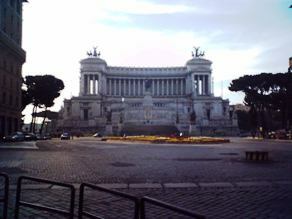 This, below, is Piazza Venezia and its fantastic building called the Vittoriano. To be honest this was enough, as if I hadn’t already decided that Italy was home then this finished the job. It was another two years before I finally moved over, and when I did it was to a place very different to Roma, but the seeds had been sown, and watered on this single trip out to the best big city there is. Since then I’ve been back six or seven times, for different reasons, including football, the best Italian team coming from the red and yellow side of the city, of course. I may not have done the most exciting things there (one day I bought a day public transport ticket and rode round on buses and trams all day) but I’ve always felt at ease there. I went with mum once, inevitably we did touristy things, but I enjoyed those too. I didn’t want to stay at each as long as she did, but the experience was fascinating. The open top bus tour too, highly recommended. Each time I go I treat myself to a Roma top. You can only get them in AS Roma club shops, anywhere else they are copies and therefore not acceptable to a true supporter. Tickets for matches are incredibly cheap, although the behaviour of the supporters is often disgraceful and it offends me hugely that Italians still see hooliganism as an English problem, when we eradicated it – with occasional exceptions - from the game about 20 years ago. Nevertheless, my adoptive favourite team boast a record three wins, no draws, no defeats with me in the stadium. Speriamo che qualcuno dal club legga questo, puo’ darsi che mi offrano l’abbonamento. Learning Italian was no problem for me, but it helped a lot to feel such an affinity with the language. This first trip over and the corresponding ‘day’ in the capital did more for my language skills than a thousand grammar books ever could.